One from the archive this morning as I'm still in Northern Ireland without my own laptop. This little diptych shows two images taken by jumping up with my camera held aloft through sheer nosiness as I really wanted to see what was causing this lovely glow to emanate from behind the rails. 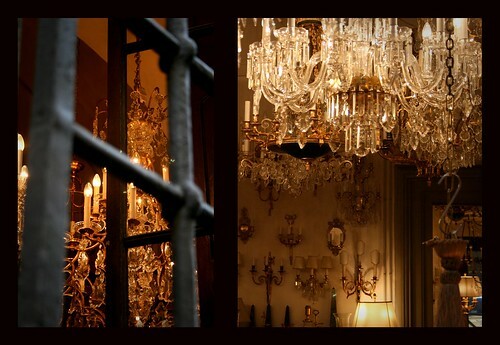 A chandelier shop of course! Loved looking at your pictures of Florence. I am going there for the first time in October and can't wait! Your photos have really wet my appetite!